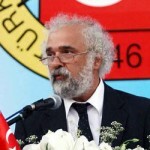 Publisher, freedom of expression and minority rights activist, member of PEN Turkey. Details of Arrest: Arrested 29 October 2011. Sentence: not yet sentenced. However, an indictment was issued on 19 March 2012, charging Zarakolu with ‘aiding and abetting an illegal organisation’ and demanding between 7.5 and 15 years in prison. At the hearing on 10 April 2012, Zarakolu was released pending trial. The Istanbul 15th High Criminal Court cited the length of time he had already been imprisoned, “the nature of the crime” and “the state of the evidence” as reasons for his release. The next hearing is scheduled for 2 July 2012. Reasons for arrest: believed to be under the Anti Terror Law for “membership of an illegal organisation” under the Anti Terror Law reportedly related to a speech he made at an event by the pro-Kurdish Peace and Democracy (BDP) party, and articles published in the newspaper Özgür Gündem (Free Agenda). Local and international reaction: hundreds of supporters protested outside the court at an appeal hearing against the sentence on 31 October. Professional details: Ragip Zarakolu is a well known political activist who has been fighting for freedom of expression in Turkey for over 30 years, publishing books on issues such as minority and human rights. As one of the 50 writers chosen to represent the struggle for freedom of expression since 1960 for the Writers in Prison Committee’s 50th Anniversary Campaign – Because Writers Speak Their Minds. In the days running up to his arrest, he had been campaigning for the release of his son, Deniz Zarakolu, (see above) who had been arrested three weeks earlier on 7 October 2011. This entry was posted by WMW Medienagentur GbR. Bookmark the permalink.